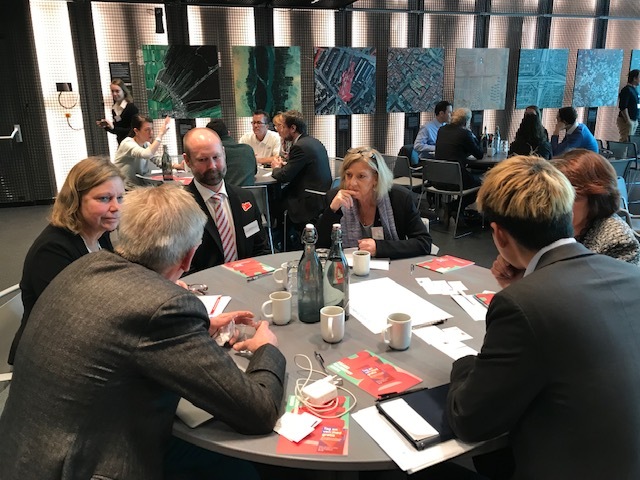 As the sponsoring organization reported, a delegation of US cluster organizations participated in an EU-US cluster collaboration knowledge-sharing round table held at BLOXHUB in Copenhagen, Denmark. The roundtable focused on networking and knowledge exchange and provided the 32 participants an opportunity to learn from peers and experts. The US delegation consisted of 11 American business associations, R&I networks, and cluster organizations representing 9 US States. The US participants are active in the fields of clean energy, clean tech, sustainability, smart cities, and e-mobility, and are interested in cooperation with clusters and stakeholders of the R&I ecosystem in the EU. Clean Acres remains engaged with a number of the cluster organizations participating in this delegation, with opportunities for further collaboration still in the pipeline.